I was lucky enough a few months back to win a competition by Life Of Dan over on Twitter for a whole lot of products from Body Branded. I had never heard of Body Branded until this competition and I have to say after taking a look on their site I was very impressed. 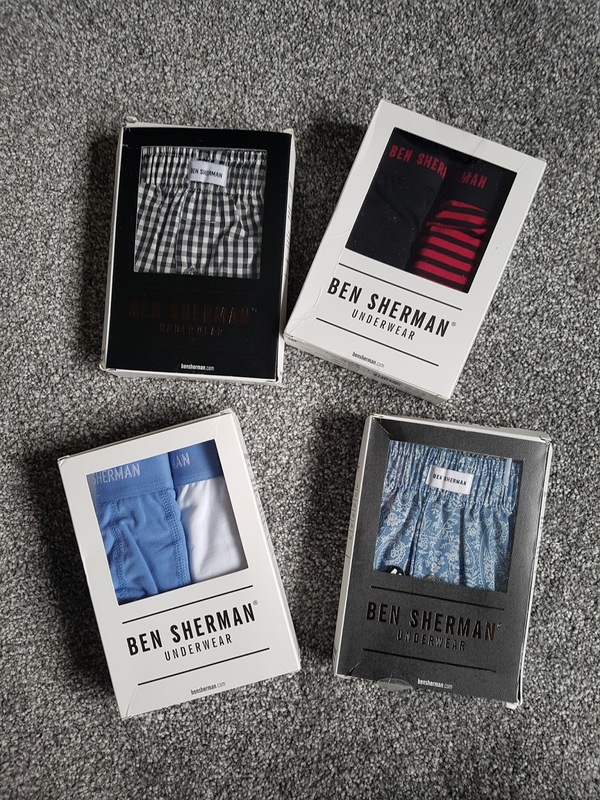 They do both mens and women's underwear from a selection of brands such as Ben Sherman and Reebok. 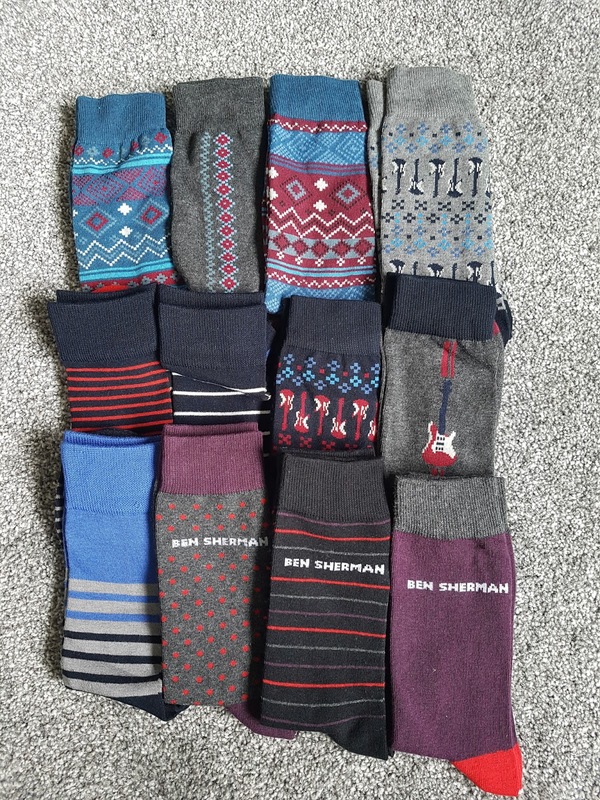 I was sent 12 pairs of socks, 2 pairs of mens trunks and 2 pairs of mens woven boxers all by Ben Sherman. I remember the first jacket of Liam's I ever stole was actually a Ben Sherman one and it was such a good quality. Same goes for the socks, they are super soft and a perfect fit. 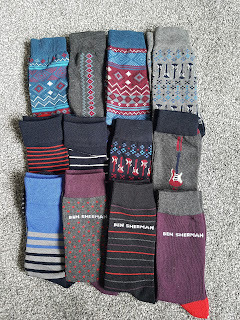 I love the variety of patterns I got sent as I love wearing patterned socks daily, I can't cope with plain socks at all especially as my jeans are turned up 90% of the time due to me being so short. I had just bought a load of socks before winning this competition but these have taken priority and I seem to have already got my wear out of them. The trunks of course went to Liam however, I kept the boxers for myself, as they are perfect for pyjama bottoms. I wear these with a t shirt for bed and they are unbelievably comfy and feel like such good quality. *These products were gifted to me as part of a collaboration with Chemist. All thoughts and opinions are my own.